For years the Joby GorillaPod has been my “tripod” of choice. And while I certainly still use it and often have it along on trips, in above tree line environments or when a real tripod would be more convienent than a GorillaPod, I needed something that’s still light enough to carry but can get high enough for photos, timelapses and video. 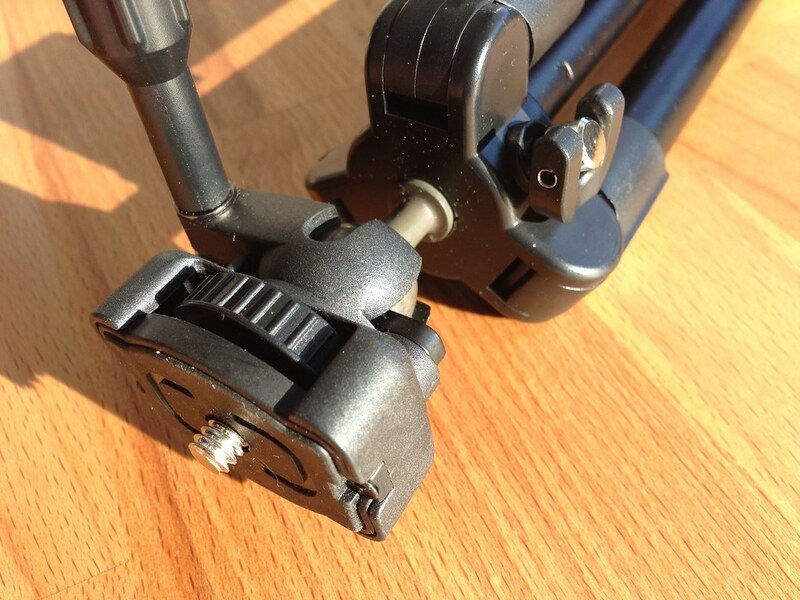 Enter the Velbon V-Pod, probably the Worlds Lightest Tripod. I first read about the Velbon V-Pod a few year’s ago on Dave’s, the Armchair Adventurer, blog. But it still has taken me an unreasonably long time to purchase a V-Pod, which I now, with hindsight, regret. 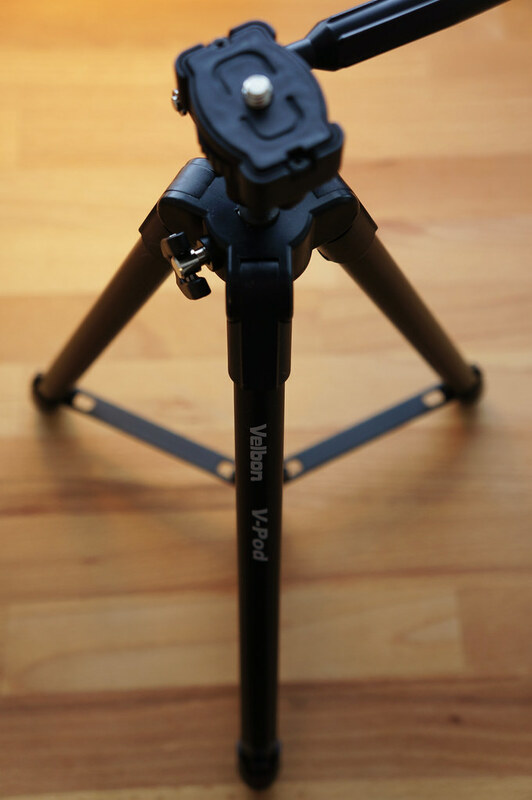 My Velbon V-Pod weighs 279 gram, has a transport length of 29 cm, is fully extended 100 cm tall and has a minimum height of 28 cm. It carries my Sony NEX-5r with a heavy Pentax Asahi 55mm lens (body + lens = 570 g) without problems, though if you go outdoors with a Canon 7D or similar you might want to use something more substantial as a tripod. But for the M43 crowd and Point-and-Shoot photographers, the Velbon V-Pod is a superb tool. 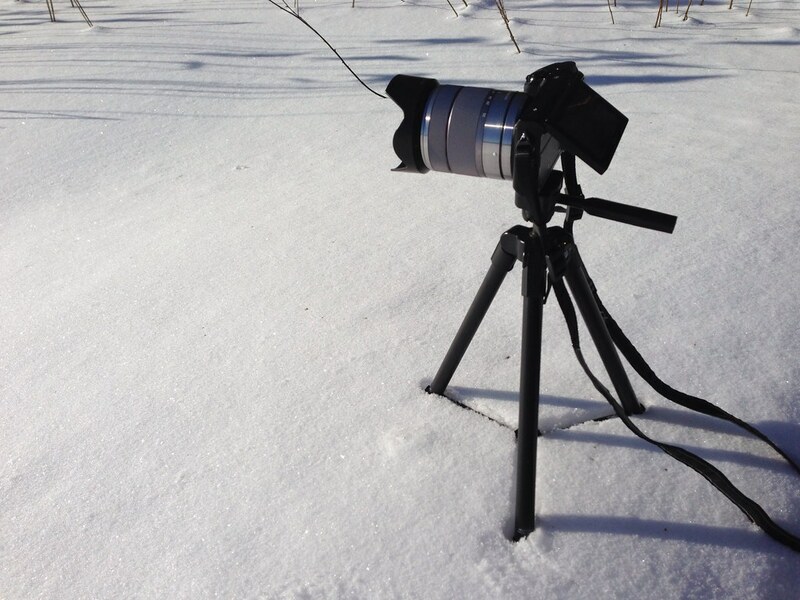 I used it since for shooting timelapse movies, aurora borealis and stars, videos and stills. It is small enough to go inside the backpack or put it under a strap or a mesh pocket on the outside, and is ready to use in less than 30 seconds. It has a ball head which allows for great fluid movements and picking almost any position you’d like. If it is windy you can attach a weight (your backpack) to the centre strut of the V-Pod to pull it down and keep it in place. It comes with a carrying pouch (12 g) and a holder for smartphones (25 g). 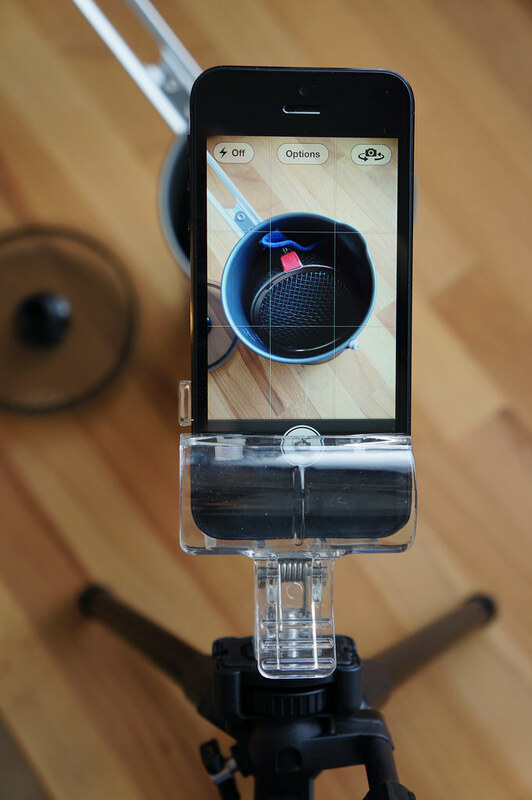 Especially the latter is pretty neat (unless you have a Glif) as it allows you to use your smartphone for videos, stop-and-go animations and photos. In short: I’m sorry that I waited so long to buy the Velbon V-Pod. It’s a superb tool for photographers who use lightweight cameras, and nowadays the V-Pod finds its way into my pack on pretty much each trip, long or short. 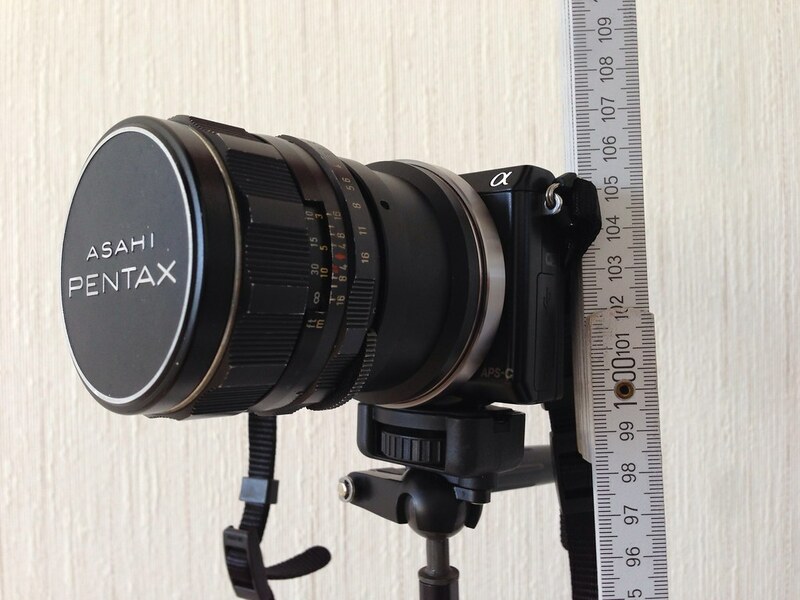 If you’re searching for a lightweight tripod for your Micro Four Thirds or similar camera, look no further. The Velbon V-Pod is the answer for us lightweight backpackers & photographers. More photos of the Velbon V-Pod.